Offering a range of concrete, asphalt and brick/natural stone cutting and drilling services. 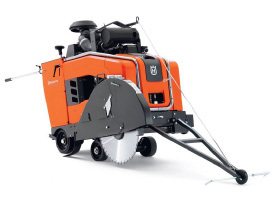 Precisely cut flat surfaces such as floors, bridge decks and roadways. After a few years of joining forces Complete Concrete Cutting QLD and Sunshine Coast Concrete & Asphalt Sawing have combined their brands to remove any confusion around our name or services. We want to promote this combined brand that we are proud of. As a company we are committed to providing expert services & advice leading to a stronger working relationship with our clients. Complete Concrete Cutting is a specialist diamond drilling and diamond sawing contractor based on the Sunshine Coast, servicing areas from Caboolture through to Gympie. We off er an extensive range of concrete, asphalt and brick/natural stone cutting and drilling services. With over 25 years of experience concrete cutting on the Sunshine Coast Complete Concrete Cutting have become one of the premier companies within the industry. We aim to provide a consistent and reliable service and plan to continue raising the benchmark for quality, safety and value. Complete Concrete Cutting operates a fleet of vehicles allowing our experienced professional friendly team to move quickly and to deliver first rate diamond drilling, concrete cutting, floor sawing and demolition work within the time frame that you require. Our operatives are among the best in the industry, and have both proactive and reactive expertise whilst approaching the task at hand. We take both safety and the environment very seriously. Our staff are provided with relevant PPE adhering to the appropriate Building Safety standards, all plant and equipment is well maintained and tested. We conduct risk assessments for the tasks at hand, and are supported through out the works by regular reviews ensuring that relevant risk assessments and relevant work method statements are in place. Complete the online form below and we will be in touch to discuss your requirements. THAT’S WHAT WE OFFER TO YOU! Complete Concrete Cutting are specialists in Floor Sawing, Hand Sawing, Core Drilling and Wall Sawing, covering all aspects of the concrete cutting industry – commercial, industrial, civil & domestic projects providing concrete sawing, core drill, concrete cutting, concrete grinding, diamond drilling, cut concrete, concrete cutters, concrete coring, concrete core drilling, concrete cutting and drilling, green concrete cutting, concrete & asphalt sawing, hand sawing, hydraulic hand & wall sawing, crossover kerb cuts, core drilling to 1metre diameter, ring sawing to 250mm deep, hydraulic & inverted drilling, confined space operators, sediment & environmental controls, floor sawing/road sawing, hand sawing, diamond core drilling, hydraulic handsawing, wall sawing, ring sawing, soff cut / green concrete sawing and environmental sediment control. Servicing the Sunshine Coast, Caboolture, Gympie, Morayfield and northern Brisbane suburbs, including but not limited to Pelican Waters, Golden Beach, Moffat Beach, Kings Beach, Dicky Beach, Currimundi, Warana, Wurtulla, Bokarina, Kawana, Buddina, Bright Water, Minyama, Mooloolaba, Maroochydore, Buderim, Mountain Creek, Glenfields, Kuluin, Bli Bli, Mudjimba, Marcoola, Coolum, Sunshine Beach, Noosa, Noosa Heads, Palmwoods, Woombye, Nambour, Bli Bli, Diddillibah, Maleny, Montville, Mapleton, Flaxton, Hinterland and Cooroy. Complete Concrete Cutting QLD understands that importance of a positive and comprehensive approach to health and safety in modern construction. As standard procedures, plant and site practices evolve to meet exacting standards demanded by professionals within the industry, it is essential that safe policies remaining at the fore front of our minds throughout the project. We have a dedicated in house team to implement our company policy and ensure the health and safety of our employees and anyone effected by our activities. Complete Concrete Cutting is my preferred concrete cutter and core holer on the Sunshine Coast. Glenn is always helpful and his workers are on time, courteous and efficient. F & M Plumbers & Drainers have been using Complete Concrete since 2006, and have always found their services to be exceptional. Glenn & the team are always professional and a pleasure to work with; as no job is too big or small. We would not hesitate to recommend Glenn & the team at Complete Concrete. I would like to say how impressed I am with your business. I contacted your business and was met with a pleasant helpful attitude. Your staff turn up on time, even though we had given you short notice. They were working in a busy vehicle and pedestrian trafficable environment, and conducted themselves, safely and professionally, and left the site neat and tidy. The job was completed on time with no issues at all. I would highly recommend Complete Concrete Cutting and will definitely be using them again. For a FREE no obligation on-site quote please contact us. Copyright © 2017 Complete Concrete Cutting Queensland. All Rights Reserved.